Volunteer project: The volunteers will be teaching sports and/or music to children between 6 and 15 years of age. The program is conducted in community schools in Kathmandu valley and Pokhara district. Music and sports activities have positive impact on mental and physical growth of children. Volunteers will organize various indoor and outdoor sports and/or music activities for underprivileged children and youth. The schools are always in need of more teachers and it will also be possible to teach other subjects such as English, Mathematics and Science. One or two volunteers can be placed in a school at a time. In Nepal, the school day starts at 10:00 am and ends at 4:00 pm. You’ll have 3 to 5 classes a day, each class lasting 45 minutes. Saturday is a holiday and Friday is a half-holiday. When not in school, you will share your everyday life with your host family. Special requirements: Formal teaching experience is not required, but any relevant skills and qualifications are appreciated. Strong motivation and interest in Nepalese culture are expected. Duration of the project: 2-5 months. The volunteer placements start on the first Monday of the month. Orientation: Volunteers attend a 3-day orientation seminar at a training center in Kathmandu before the start of the project. The seminar aims to provide basic knowledge about the Nepalese education system, culture, dress code, food, and detailed information about the project, the school, Nepali language, etc. The orientation seminar starts on the first Monday of the month. During the orientation, accommodation is provided in a dormitory in Kathmandu. Accommodation: You will stay with a Nepali family close to the school and you'll be able to experience their hospitality, friendliness and unique way of life. You will be welcomed as a member of the family and the local community. At least one member of the family will be able to speak English. Nepali houses are simple with very basic facilities. Most families do not have hot shower, but most of them have bathroom and toilet. You’ll get your own single room and the family will respect your privacy. Please bring your sleeping bag. In the countryside, many Nepalis grow their own vegetables and have buffaloes, goats and chickens. You will typically be served food twice a day: a heavy breakfast around 9am and dinner around 7pm. Every family can host up to two volunteers. Airport pick up and drop off, 3-day orientation in Kathmandu, and transportation to the project site and back are included. Volunteer project: Nepal is a beautiful country and we hope to keep it clean and green forever. At the moment, littering is a widespread problem. This project will focus on waste management as a way to keep communities clean and beautiful. Local and international volunteers will come together to work for a clean environment. Volunteers will be teaching school children and local villagers about waste management. They will also get involved in hands-on activities like collecting trash, making compost and demonstrations on how to use recycling bins to separate paper, plastic and food waste. The project is organized in different communities in and around the Kathmandu Valley, Pokhara, Tanahun, Lamjung, Chitwan, Makwanpur and Nawalparasi district. You can explore the real rural Nepal by staying in secluded villages where people live in very traditional ways. Or you can opt for a more urban and modern Nepal experience in the bustling and fast-growing cities like Kathmandu and Pokhara. Special requirements: Formal experience is not required, but any relevant skills and qualifications are appreciated. Strong motivation and interest in Nepalese culture are expected. Orientation: Volunteers attend a 3-day orientation seminar at a training center in Kathmandu before the start of the project. The seminar aims to provide basic knowledge about the Nepalese education system, culture, dress code, food, and detailed information about the project, Nepali language, etc. The orientation seminar starts on the first Monday of the month. During the orientation, accommodation is provided in a dormitory in Kathmandu. Accommodation: You will stay with a Nepali family and you'll be able to experience their hospitality, friendliness and unique way of life. You will be welcomed as a member of the family and the local community. At least one member of the family will be able to speak English. Nepali houses are simple with very basic facilities. Most families do not have hot shower, but most of them have bathroom and toilet. You’ll get your own single room and the family will respect your privacy. Please bring your sleeping bag. In the countryside, many Nepalis grow their own vegetables and have buffaloes, goats and chickens. You will typically be served food twice a day: a heavy breakfast around 9am and dinner around 7pm. Every family can host up to two volunteers. Volunteer project: The socio-economic status of women in Nepal is very poor. They face discrimination in every aspect of the society. Most Nepali women, especially in rural areas, do not have their own identity and are generally known by their husband’s identity. These women are regarded as economically unproductive and don’t have any role in decision making. With this program we want to support the empowerment of women in Nepal, and to help them become adequately and appropriately educated about their rights. Volunteers in this project will conduct various trainings, hands-on activities, income generation and skill development workshops, documentation, etc. Volunteer project: This medical internship program is open for medical doctors, nurses and medical students. Volunteers will help provide medical services in health posts, health centers and mobile health and medical clinics. If you are a medical professional or pursuing career in the field, this is an opportunity for you to put your experience and theoretical knowledge into practice. Special requirements: Relevant education and experience are appreciated. Strong motivation and interest in Nepalese culture are expected. Orientation: Volunteers attend a 3-day orientation seminar at a training center in Kathmandu before the start of the project. The seminar aims to provide basic knowledge about the Nepalese culture, dress code, food, and detailed information about the project, Nepali language, etc. The orientation seminar starts on the first Monday of the month. During the orientation, accommodation is provided in a dormitory in Kathmandu. 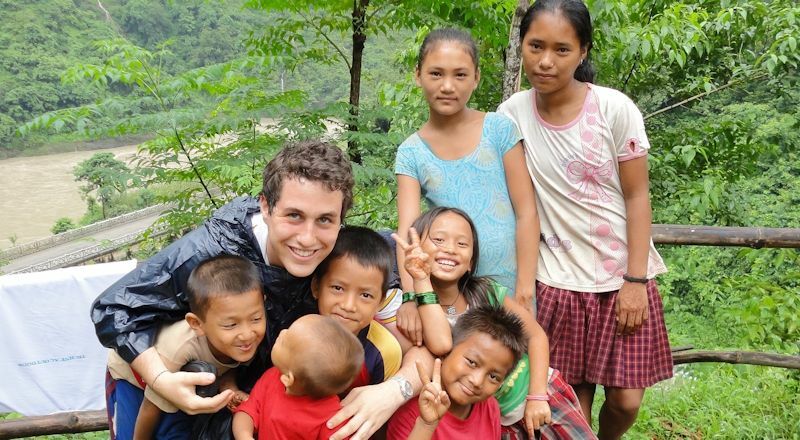 Volunteer project: Most people in Nepal lack basic knowledge and awareness on health, hygiene and sanitation. This health education program aims to raise people's awareness on health risks, promote sanitation and good hygiene practices. Volunteers will provide information on hygiene, maternal care, child care, reproductive health, etc. If you are a student or public health professional, this can be a great opportunity for you to get direct experience working with the local people of Nepal. Volunteer project: The volunteers in this project will be working with elephants at Chitwan National Park in Nepal. In the early morning and late evening, the volunteers would assist in the direct care of the elephants. In the hours between they may be asked to assist with numerous other tasks involving the care and maintenance of the elephants. Elephants eat around 250 kilograms of food each day and drink about 200 liters of water. An elephant has to eat most of the day because of its poor digestive system. Elephants also need to provide moisture to their hard, rough exterior at least once a day and therefore they are taken for a bath daily. This is truly an enjoyable time for all, as elephants love water and swimming. The duties of an animal sanctuary assistant volunteer at Chitwan may involve assisting the "Mautes" (elephant drivers) in the care for baby elephants, helping to bathe the elephants, as well as feed them (grass is the main food of elephants and they also eat leaves, twigs, bamboo, bark, roots, fruit, seeds and flowers). Volunteers may also be asked to assist with duties at the bee hives. Volunteers don't need any specialized training for this placement but should have educated themselves about the care and conditions prevalent in elephants prior to arriving in Nepal. Chitwan National Park is an exciting and diverse wildlife haven. Chitwan National Park is located 175 km south-west of Kathmandu. It provides excellent opportunities to view rare species such as the sloth bear, bison, leopard and the elusive tiger. The common species such as deer, rhinoceros and wild boar are in abundance. A serene float down Rapti river in dugout canoe offer the chance to view many of the more than 450 species of exotic birds including Giant Hornbill, Lesser Florican and Paradise flycatcher. The area is covered with lots of tourist hotel and Tharu lodges, Tourist information centre, restaurant etc. This is a small tourist spot. - Prepare Food for the Elephants: An animal sanctuary assistant volunteer would be expected to help to prepare food for the elephants. This may involve gathering logs for the fire, as well as assisting in the cooking of the food. Basically their food is a mixture of grains and cover grass. - Elephant Bath: This is a very exciting and fun time for an animal sanctuary assistant volunteer. An elephant's skin is very rough and hard so with the help of small stones, dirt is cleaned from their bodies. - Elephant Diseases: An animal sanctuary assistant volunteer may be asked to teach (with the help of a translator) the "Maute" elephant rider about the signs and symptoms of different kinds of elephant diseases and when it is necessary to call a veterinarian. The volunteer may be able to point out ways and means on how some of these diseases can be prevented. Please research about care and treatment of elephants prior to your placement. - Teach English to Mautes: Since "Mautes" are always around tourists who are wanting elephant rides, an animal sanctuary assistant volunteer may be asked to teach the "Mautes" basic English language skills. By improving their English this would enhance the experience of the tourist, as well as themselves. Duration of the project: 1-5 months. The program starts on the first Friday of every month. Accommodation: Host Family / Lodge. Volunteers will get their own single room with hot and cold shower. Three meals a day are provided. Free Wi-Fi available. Arrival and orientation: All volunteers are requested to participate in a training in Kathmandu. 3-night accommodation (hotel/guest house/training center), breakfast and dinner are provided. Full day culture and heritage tour in Kathmandu to see a UNESCO World Heritage Site is included. Volunteer project: The volunteers will be teaching basic English in schools in different regions of Nepal: Kathmandu valley, Kaski (Pokhara), Tanhun, Lamjung, Chitwan, Makwanpur, Nawalparasi district. One or two volunteers can be placed in a school at a time. Saturday is holiday and Friday is half holiday in Nepal. Nepalese schools start at 10:00 am and close at 4:00 pm. The volunteers will be teaching 3 to 5 classes a day. Each class is 45 minutes long. The volunteers will get an opportunity to participate in a 3 days orientation seminar at our training center in Kathmandu. The seminar aims to provide volunteers with basic knowledge about the education system of Nepal, detailed information about the project school, Do and Don’t issues, Nepali language, culture, dress, food, etc. The orientation seminar will start on the first Monday of each month. Special requirements: Relevant training and skills are appreciated. Good motivation, flexibility and cooperative spirit are expected. Duration of the project: 2-5 months. The volunteer placements start on the first Monday of each month. 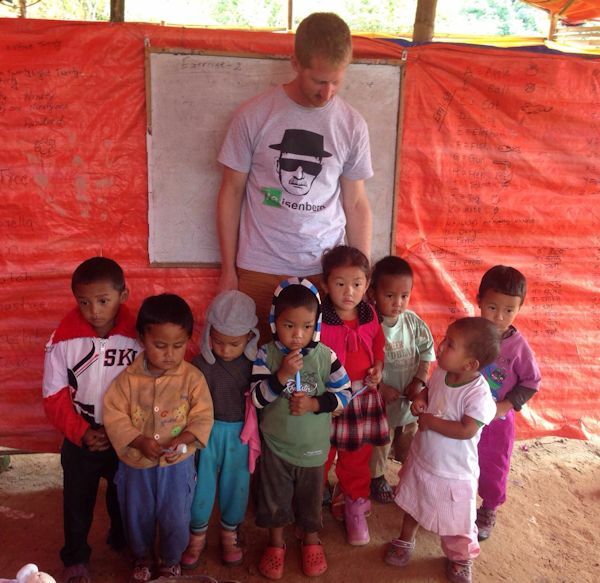 Accommodation: Most of the long term volunteers will stay with Nepali families near to the school. Staying with a Nepali family is very interesting - you will be welcomed as a member of the family and as a member of the local community as well. Nepali houses are simple, using very basic facilities. Most families do not have a hot shower, but most of them have bathroom and toilet. Please, do not expect facilities like in your country! However, volunteers will get their own single room and enough Nepali food Dalbhat. There is a two time food system in Nepal: heavy breakfast around 9am and dinner around 7pm. Tea is very common - when you visit a family, they will welcome you by serving tea! 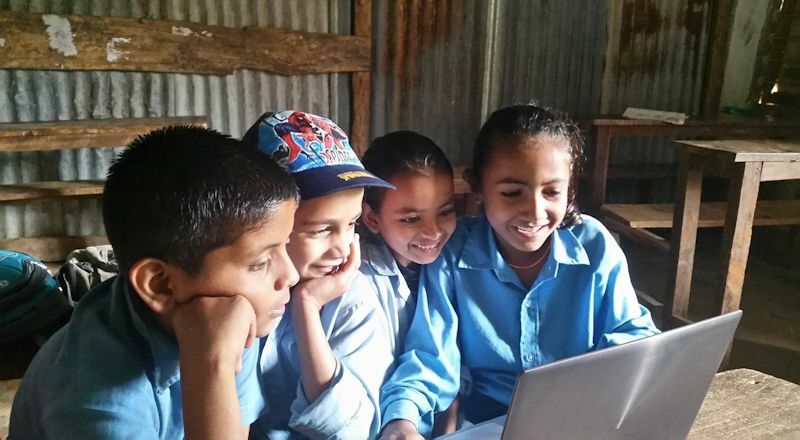 Volunteer project: The volunteers will be teaching Computer Science in schools in different regions of Nepal: Kathmandu valley, Kaski (Pokhara), Tanhun, Lamjung, Chitwan, Makwanpur, Nawalparasi district. One volunteer can be placed in a school at a time. Saturday is holiday and Friday is half holiday in Nepal. Nepalese schools start at 10:00 am and close at 4:00 pm. The volunteers will be teaching 3 to 5 classes a day. Each class is 45 minutes long. Special requirements: Good knowledge in computers, relevant training and skills are appreciated. Good motivation, flexibility and cooperative spirit are expected. Volunteer project: The volunteers will work in Orphanage houses in or around Kathmandu valley, Chitwan and Kaski (Pokhara) district of Nepal, taking care and organising activities for the children. One or two volunteers can be placed in an orphanage at a time. The volunteers will get an opportunity to participate in a 3 days orientation seminar at our training center in Kathmandu. The seminar aims to give basic knowledge and understanding about the problem of street children, Do and Don’t issues, Nepali language, culture, dresses, food etc. The orientation seminar will start on first Monday of each month. Special requirements: Relevant training and skills are appreciated. Good motivation, interest to work with children, flexibility and cooperative spirit are expected. Accommodation: Accommodation will be arranged in or near the Orphanage house. Most orphanage centers do not have hot shower, but most of them have bathrooms and toilets. Please do not except facilities like in your country! The volunteers will get their own single room and enough Nepali food Dalbhat. There is a two time food system in Nepal: heavy breakfast around 9am and dinner around 7pm. Tea is very common - when you visit a family, they will welcome you by serving tea!